PECO foundry is one of the largest foundry which was established with the collaboration of German and Japanese firms. The most modern and new equipments are also being added to fulfill the present requirements. Cupola Furnance 3 Nos. having capacities of 1 Ton/hr, 3 Tons/hr & 5 Tons/hr. Induction Furnance 1 No. 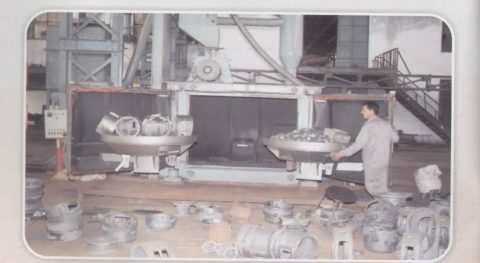 having shell capacities of 300 kgs & 400 Kgs. PECO Foundry is producing casting for pumps, Turbines, Electric Motors and Auto parts. It has capacity to produce casting having components from few grams to 5 tons. It is equipped to produce casting of all grades of Grey Iron, Bronze, Aluminum alloys, heat resistant, corrosion resistant and water resistant cast iron with modern facilities of testing. State of the art casting facilities from Cast/Grey Iron casting to sophisticated Metal/Steel Alloys as per international standardS.